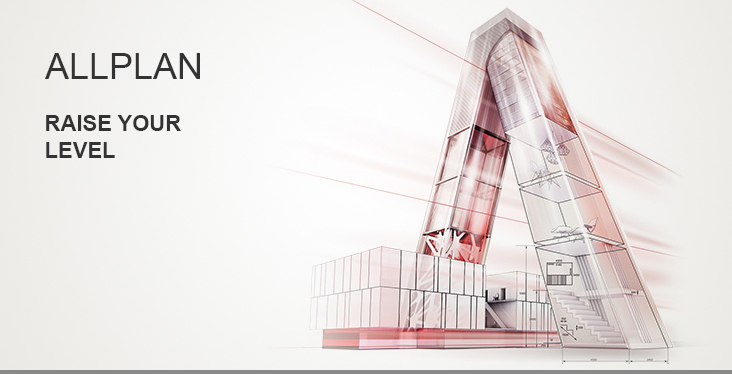 Allplan Architecture is a universal BIM tool for building design and construction. Due to a direct connection to the cloud-based BIM platform Allplan Bimplus, Allplan Architecture is a complete BIM solution (up to BIM level 3). You can work either completely in 3D or also combined in 2D and 3D, which has advantages especially in planning and implementation. The strength of Allplan Architecture lies in the reliability and precision across all planning phases, especially in the area of quantity takeoff. A large selection of interfaces, including IFC import and export, ensure a secure data exchange with planning partners. BIM - Allplan Architecture makes it possible to build, first virtually, and then for real. In this way errors and conflicts are identified during the planning and delays in construction are avoided. Design freedom - the high-performance Parasolid modeler by Siemens PLM Software integrated into Allplan Architecture provides great freedom when generating 3D models. Visualization at the highest level - the integrated CineRender by Maxon enables intuitive and efficient generation of high quality visualizations directly from Allplan Architecture.